Q: What is mobile performance marketing and how does it work? A: Mobile performance marketing is our specialty – it’s what we do best. It refers to any kind of marketing wherein the marketer only pays when a certain action is completed, whether that means an app has been installed, a purchase has been made, a lead has been generated, a prospect has scheduled an appointment, etc. The difference between performance and traditional advertising is that the publisher or affiliate only gets paid by the marketer when that action has been completed, versus paying on something like a CPM or monthly basis. It’s much more accountable. Q: What about Mobile App Conquesting? Why is it so powerful tactic in digital marketing today? A: Mobile app conquesting has been a big focus for us. 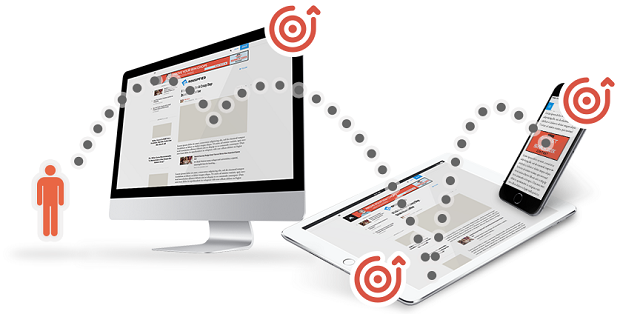 We really believe it’s a powerful and underutilized tool in mobile marketing, in particular. App conquesting allows mobile marketers to reach and win new customers based on the apps they’re using right now. Marketers can reach and engage qualified mobile customers and their devices at scale using our unique technology – which is, of course, permission based an uses only non-PII data. Marketers can actually target users across their competitive set, while also defining behaviors that will allow them to build out unique custom audience profiles. We’ve seen amazing success with conquesting campaigns over the last year. We’re looking forward to more marketers taking advantage of this powerful technology. Q: You’ve recently announced launch of mobile DSP; could you tell us something more? A: There are so many DSPs out there, it’s hard to stand out from the crowd. Our is differentiated in a few ways. For starters, while it’s currently mobile-only, our near-term goal is to make it effective across screens. It’s also fully customizable and trader-friendly. We’re able to deliver broad access to exchanges and suppliers, while simultaneously offering broad access to both first and third party data. That makes things so much easier for today’s trade desks and individual traders – not to mention agencies and in-house marketing teams. We also know it’s much easier to use than almost any other DSP on the market because we use it ourselves. The interface is very user-friendly. It’s also really fast and flexible, so clients can launch their campaigns incredibly quickly, and optimize easily and to their unique KPIs. We’re excited about that speed and easy customization. Our full-service clients know that working with Cross Audience will give them the benefit of working the DSP, but also the high-touch service they expect. They have access to our smart, friendly team, along with the confidence that their ads are only shown to hand-raisers with an interest in their (or their client’s) product or service, and on trusted publisher content. Q: What else can we expect from Cross Audience in 2018? A: We have a few things up our sleeve for the year ahead, but right now we’re laser-focused on making the DSP the best it can be. We’ve onboarded several clients already and we’re pleased with what we’re seeing. It’s very exciting to see successful campaigns leveraging our best-in-breed technology, powered by our massive collection of first-party data, and optimized in real-time by our experienced and passionate team. So far, the results have been fantastic, and our clients are raving about how easy the platform is to use and how fast it is compared to others on the market today. That said, we know there’s always more we can do. We want our clients to get the highest possible ROI from their campaigns with us, so we’ll keep finding ways to improve the technology, optimize the results, and keep everything we do as free of fraud as humanly possible. It’s a competitive industry, and we want marketers to know that we’re here with the best technology and the best quality data – and that we’re willing to work harder to drive results than anyone else.